Justin Scidmore Hon. BSc. 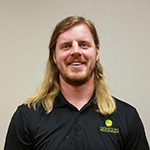 KIN Masters of Physical Therapy (MPT) Justin graduated in 2010 from the University of Waterloo with a Kinesiology degree. Many of his classes focused on sport injuries and neuro-rehabilitation which made him interested in pursuing physiotherapy. In 2012, Justin graduated from Western University with a Masters of Physiotherapy. His research focused on bracing for post-operative ACL repairs. With an interest in orthopedics and sport medicine, he moved to Ottawa to work in a Sport Injury Clinic. After gaining valuable experience he decided in 2014 that it was time to return home and help the people of Elgin County. For continuing education, Justin has a strong interest in manual therapy, acupuncture, soft tissue release and concussion rehabilitation. Justin enjoys fastball, slo-pitch, hockey and games of all kinds. The one fact about yourself that everyone would find fascinating: I am a 4 time fantasy hockey champion. The one hobby you are the best at: Indoor slo-pitch. 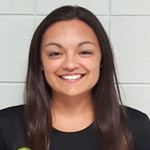 Kate Cunningham BA Honors Kinesiology Originally from Brantford, Kate moved to London to study Kinesiology at Western University, where she graduated in 2015. She enjoyed learning about athletic injuries and exercise prescription for all age groups. Kate volunteered with a concussion-screening program, which increased her interest in acquired brain injuries and also introduced her to Talbot Trail Physiotherapy. 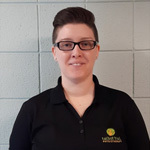 Kate began volunteering at our London location of Talbot Trail Physiotherapy in March, and is very excited to officially join the staff to take over the position in the Community Pool. The one hobby you are the best at: Playing with my Bernese Mountain Dog puppy, Paisley! Kaitlynn Toogood Front Desk I grew up in St. Thomas, and just recently graduated from the office administration program at Fanshawe College. I joined the Talbot Trail Physiotherapy team in the fall of 2017, and so excited to work with all the amazing people here. I love meeting new people and I’m glad that my job with Talbot Trail Physiotherapy allows me to do that. In my free time, I enjoy spending time with friends and family, and watching movies. Chantelle Lewis BA Hon. Kin, MSc. PT Born and raised in London, Ont., I graduated from Western University with a Bachelor’s degree in Kinesiology in 2014. I completed my Masters of Physical Therapy degree at the University of Toronto in 2017. After two years in a big city I decided to return to my roots. Most recently, I joined the Talbot Trail Physiotherapy family and am excited to begin my career in physiotherapy with this amazing team. With a history of more than 20 years in competitive sport, you can find me on the diamond or at the rink during much of my free time. I also enjoy hiking with my two dogs, reading a good book, and I am a self-proclaimed foodie. The one hobby you are the best at: hockey, fastball, and any time I can be with my 4 pets. Paige Brouwer Clinical/Community Pool B.A. Kinesiology I recently completed my Bachelor of Kinesiology (Honours) degree at Brock University. One of my favourite experiences during my undergrad was personal training at a specialized fitness facility working with clients age 55 and older. I worked one on one with clients helping them with their exercise goals. I chose to be a kinesiologist because I want to make a positive difference in the lives of others and help them accomplish their exercise and lifestyle goals. I’m very excited to be a part of the Talbot Trail Physiotherapy team! Harleen Cheema MSc.PT, CAFCI Registered Physiotherapist Certified in AcupunctureGraduating in 2007 with a Masters of Science in Physiotherapy from the University of Alberta, Harleen started working at Talbot Trail Physiotherapy shortly after. Previous to this Harleen had graduated from the University of Western Ontario with a Bachelor of Arts in Kinesiolgy in 2003. Highlights of Harleen’s University education include having a placement at the Glen Sather Clinic (Edmonton’s version of the Fowler Kennedy Clinic) to work primarily with both varsity and professional athletes, and being the trainer for the UWO Track and Field Team in his final year of Kinesiology. Harleen was born and raised in St. Thomas, Ontario, and participated in Minor League Hockey, and Track and Field, while attending High School at Central Elgin Collegiate Institute. Harleen enjoys spending time with his family, and playing a round of golf when able. The one fact about yourself that everyone would find fascinating: His photo was published on the table of contents page in the 2003 Maclean’s University Ranking special edition. The one hobby you are the best at: Collecting comic books and reading. 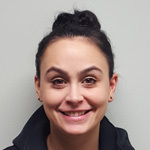 Leigh St.George Masters of Physical Therapy (MPT) Leigh was born and raised in Ottawa where she competed in artistic gymnastic and several other sport and this is where her interest in physiotherapy began. After high school she attended Brock University, where she attained an Honours Bachelor degree in Kinesiology in 2012. Throughout her undergraduate she worked as a Physiotherapy Assistant (PTA) in retirement and long term care facilities as well as, a student intern at Brock Universities athletic therapy clinic. 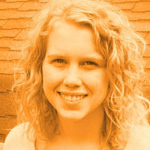 Most recently she has graduated from Western University with her Masters of Physiotherapy. During her university education she developed a keen interest in orthopedics after having several placements in the field. 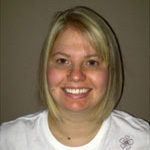 Leigh is excited to become a member of the Talbot Trail Physiotherapy Team. Andy’s start in the world of physiotherapy came in high school when he sprained his knee badly playing hockey and volleyball. He began therapy at the Fowler Kennedy Sports Clinic and wanted to learn more about sports injuries and therapies. Andy has always been heavily involved in sports and recreation but also enjoyed science in high school so he decided to go to Brock University for Kinesiology. Andy took a wide variety of courses and his favourites were related to sport science and community health. He played a variety of recreational sports including Hockey, Golf, Slo-Pitch, Ultimate Frisbee, Volleyball and plenty more. Andy also has a lot of experience working with children at Camp Kee-Mo-Kee, YMCA Community School Programs, East Park Golf Camp and Learn to Skate at the City of London. The best place I have ever visited in the world and would like to return to and why: Camping! My favourite trips were to Tobermory, Killbear, and the French River. I also love cottaging with friends and family in Rondeau and the Muskokas. The one fact about yourself that everyone would find fascinating: I have a hockey shrine in my man cave with posters and memorabilia from some of the greats and my hockey idols. I am a die-hard Leafs fan. Born and raised in Boston, MA (Go Sox! ), I later moved to Ontario in 2010 after traveling the world with my wife while working for Royal Caribbean Cruise Lines. I later attended Western University for kinesiology and graduated with honors. While in school I also taught dance and aerial arts to students of the London and St. Thomas area. Since graduating from Western in June 2017, I joined the Talbot Trail Physiotherapy family. I am thrilled to be a part of the team and I am passionate about teaching. I love helping others, whether it’s how to dance or how to improve their overall physical well-being, I am always there for my clients. In my free time I enjoy dancing and spending time with my wife and son. We try and get as much family time in as we can whether it be in the studio dancing, riding bikes, or playing outdoor sports we love spending time together. On the side I enjoy building and tinkering with phones and computers, and time permitting I enjoy the opportunity to travel to see friends. The one fact about yourself that everyone would find fascinating: There are more atoms in a teaspoon of water than there are teaspoons of water in the Atlantic. Dance- I’ve been dancing since I was 3 years old. I love any and all forms and will dance until my feet fall off. I was born and raised in London and currently live in St. Thomas with my fiancé and two beautiful daughters. I graduated from Medix College with honours from the Medical Office Administrator program in the winter of 2009. I started working in the physiotherapy part of health care in the spring of 2010. I have worked in the customer service area for more than 20 years. I just joined the Talbot Trail Physiotherapy team in the winter of 2017. I am excited to work with the great teams within the company. The best part of being at the front desk is the interaction with the people that come in to see us and watching them progress with their therapy. I enjoy spending my free time camping with my family, and watching my daughters swim in our pool. My favourite and relaxing activities are reading and watching horror movies with my fiancé. The one fact about yourself that everyone would find fascinating: When I was 10, I won a hoola hoop contest. I hoola hooped for 40 minutes straight and left my foot prints in the ground. The one hobby you are the best at: My hobbies are scrapbooking, reading, camping, and hanging out with friends and family. 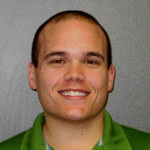 Mark Holmes BPHEDkin MSc.PT., Registered Physiotherapist Mark received his Bachelor’s Degree in Physical Education/Kin at Brock University in St. Catharines before attending the University of Toronto and receiving his Masters in Physiotherapy. 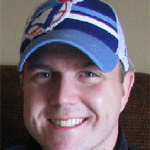 After graduating, Mark worked at Royal Victoria Hospital in Barrie, ON. The one fact about yourself that everyone would find fascinating: Saving toads from window wells. The one hobby you are the best at: Baking. 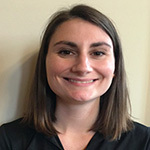 HCPC Registered PT, MCSP Deanna graduated from McMaster University with an Honours Bachelor Degree in Life Sciences in 2013 and then graduated with her Masters Degree in Physiotherapy at Robert Gordon University in Aberdeen, Scotland in January 2016. After school, she remained in Scotland and worked as a Registered Physiotherapist at a hospital where she provided rehab to people over 65 years old. Deanna gained experience working with a variety of orthopedic, cardio respiratory and neurological conditions. Although she enjoyed living in Scotland she is excited to be back home and to start my Physiotherapy career in Canada. Deanna grew up in Aylmer and worked several summers as a lifeguard, swim instructor and Head Swim Coach at the Aylmer Outdoor Pool. Therefore, she is looking forward to being able to give back to her local community by working at Talbot Trail Physiotherapy. Mary Anne Sawatzky B. Sc. 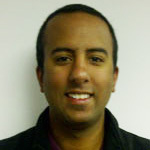 in Kinesiology Graduated in 2010 with a Bachelor of Science in Kinesiology from the University of Waterloo Ontario. Started employment with Talbot Trail Physiotherapy in June of 2010. Gained an extensive knowledge in exercise prescription here at Talbot Trail, leading gym programs with patients at local fitness facilities as well as in clinic. Mary Anne enjoys an active lifestyle playing baseball. The one fact about yourself that everyone would find fascinating: Likes Sushi. Alex graduated from Pre-Health Science at Georgian College in Barrie Ontario in 2009, and then attended The University of Western Ontario for Kinesiology, which he graduated from in 2014. During his 6 years of varsity rugby, he learned much about rehabilitation treatments, strength and conditioning, and recovery methods. Alex is really looking forward to applying his knowledge in a multidisciplinary rehabilitation team. Lori Tremblay Billing and Collections Officer Graduated in 1992 with her Medical Office Assistant Certificate with Honors from Medix. In 2000 Lori decided to attend London School of Integrated Health Science where she received two certificates one for Herbal Wellness Consultant with Honors and the second certificate for Specialized Kinesiology Level 1. Prior to this, she worked as a Chiropractic Health Assistant at Aylmer Chiropractic Office for 10 yrs followed by 5 yrs at Family Health Options were her role was Chiropractic Health Assistant, Front Desk Reception, Trainer, Maintaining all equipment, Developing X-rays and Finance Officer. 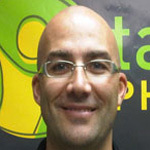 I started with Talbot Trail Physiotherapy on April 1, 2008, (with a short leave from July 2011 to Dec 2011). 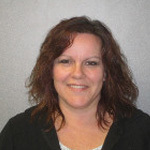 Lori enjoys spending time with her 2 kids, watching her daughter dance and her son play basketball. The one fact about yourself that everyone would find fascinating: Yet to be decided!!! Mischa Hoover Front desk reception Graduated from Fanshawe College in May 2012 from the Health Care Office Assistant certificate program. Then I participated in a six week co-op placement at Talbot Trail Physiotherapy. Afterwards I landed a job here working in front desk reception. Prior to taking this course at Fanshawe College I worked in Horticulture. My job on a tree farm included planting, repotting, identifying native tree species, and my favourite part was driving tractor. Mischa is certified as a swimming instructor, bronze cross examiner and lifeguard. For many years she worked at the Aylmer pool and put these skills and qualifications to good use. These qualifications have also come in handy working here at Talbot Trail Physiotherapy. Not only will you see me at front desk reception, but you will see her in the hydrotherapy pool teaching aqua fit classes. The one fact about yourself that everyone would find fascinating: I like outdoor adventures, including zip lining. The one hobby you are the best at: Horse back riding and swimming. Christy Taunton BHSc(Hon), MPT, Registered Physiotherapist Christy graduated from The University of Western Ontario with an Honours Bachelor of Health Sciences Degree in 2002 and a Master of Physical Therapy degree in 2004. 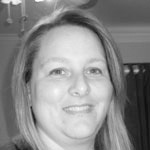 Since graduation Christy has worked in many areas of physiotherapy including assessing and treating patients of all ages with a variety of orthopaedic and neurological conditions, work injuries and motor vehicle accident injuries. The one fact about yourself that everyone would find fascinating: I talked with a Boston accent until age 5, although had never even visited the city. The one hobby you are the best at: It’s a toss-up between knitting and baking. 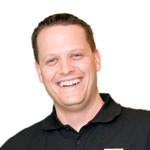 Jason Higgins BScPT, Registered Physiotherapist Jason graduated from the University of Western Ontario with a Bachelor of Science in Physiotherapy in 1999. Jason’s career has been focused primarily on treating orthopedic conditions in private practice clinics. Functional Capacity Evaluation Certification: Metriks Education, Inc.
Functional Capacity Evaluation/Pre-job Screening: Workwell Inc. The one fact about yourself that everyone would find fascinating: Born/raised in New Brunswick. The one hobby you are the best at: Home renovation. 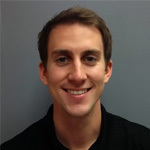 Travis Goettl BHSc (Hon), MPT Physiotherapy Resident I graduated from Western University with an Honours Bachelor of Health Sciences with a specialization in Rehabilitation Sciences in 2014 and Master’s of Physical Therapy degree from The University of Toronto in 2017. I have worked and volunteered in both rehabilitation and research settings, and throughout my Master’s degree I had a strong interest in both orthopaedic and neurological conditions. I have taken several courses such as soft tissue release, taping, and Bobath. 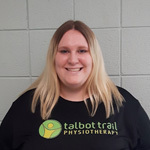 I have plans to receive certifications in acupuncture and manual therapy, and I am really excited to be a part of the Talbot Trail Physiotherapy team! In my off time I enjoy working out, watching an excessive amount of movies, and cooking. The one fact about yourself that everyone would find fascinating: I finished my first half marathon last year in just under 2 hours. 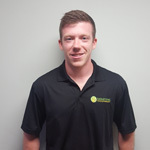 Josh graduated in 2014 with a Bachelor of Arts in Kinesiology and Physical Education from Wilfrid Laurier University. He started employment with Talbot Trail Physiotherapy in April of 2015. Josh grew up playing hockey in Ridgetown, and baseball in Highgate. The one fact about yourself that everyone would find fascinating: When growing up I wanted to be an astronaut, and my favourite movie is “Titanic”. Tammy Moore Front Desk / Reception Tammy was born and raised in Chatham, but has recently moved to the Blenheim area and is enjoying the quiet small town/country life. Tammy graduated from St. Clair College with academic distinction in the medical office admin program. 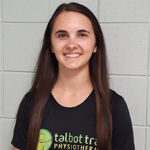 Most recently, she has joined the Talbot Trail Physiotherapy family and is very excited to be part of this amazing team. The one fact about yourself that everyone would find fascinating: I went to Russia on a school trip. (1986) The country was very different then what it is today. The one hobby you are the best at: I enjoy good movies, crocheting, reading, camping, cruising in our antique car, and working on my yard. Jessica Reaume Front Desk I was born and raised in Chatham then move to Blenheim about two years ago. I graduated from St. Clair College Thames Campus with honours in Health and Fitness Promotion during 2014 to 2016, afterwards I graduated from Police Foundations in 2016. I currently hold two part time jobs, one being a fitness consultant and a customer service representative at the St. Clair College Healthplex and now at Talbot Trail Physiotherapy being a front desk receptionist. I am also a mom to my ten month old daughter Molly! The one fact about yourself that everyone would find fascinating: I have a big German Shepherd named Duke! The one hobby you are the best at: Sports – Mostly, soccer baseball and golf. 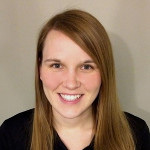 Alison Wiggers Hon BMSc Medical Science Masters of Physical Therapy (MScPT) Alison graduated from the University of Western Ontario in 2013 with an Honours Specialization in Medical Science. During her undergrad, she developed an interest in pursuing physiotherapy as a profession when she tore both of her ACLs and had an extremely positive experience with her physiotherapy rehabilitation. 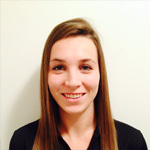 In 2015, Alison graduated from McMaster University with a Masters of Physiotherapy. During her education, she gained experience working with orthopaedic, paediatric and neurological populations. 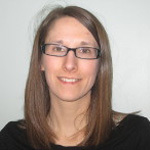 Alison is interested in pursuing her manual therapy levels and acupuncture training, and is excited to be part of the Talbot Trail Physiotherapy team. The one fact about yourself that everyone would find fascinating: I’ve seen every episode of Friends at least 10 times … and counting. The one hobby you are the best at: Flag footbal..
Stephanie Ford B.A. 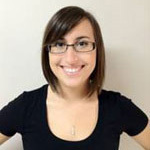 Kinesiology Stephanie is a recent graduate of the University of Western Ontario. 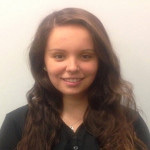 Stephanie holds a Specialized Honours Bachelor of Arts Degree in Kinesiology along with a minor in Psychology. She’s thrilled to be a part of and work alongside Talbot Trail Physiotherapy’s dynamic staff. Stephanie enjoys playing recreational soccer year round, running, reading & baking. The one fact about yourself that everyone would find fascinating: I can speak another language. 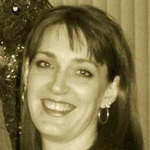 Kelci Myers B.A. Kinesiology I was born and raised in Glencoe, and recently moved back home after school. I graduated from Western University with an Honors Specialization in Kinesiology and Minor in Health Sciences. I was very involved in sports all throughout school playing on different intramural teams, and playing on Western’s Women’s Powderpuff Football Team. Currently, I play on the West Lorne Shooting Stars soccer team and have been a part of the team for 4 years. I enjoy spending time with my family and friends, traveling, and trying new things. Recently, I have taken up golf, and I had to learn a lot about patience. 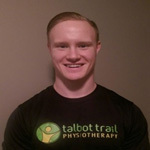 I am super excited to be a team member of Talbot Trail Physiotherapy, where I can interact with patients and help them on their journey to recovery. The one fact about yourself that everyone would find fascinating: I have been skydiving and I would do it again. Sheri Ford Kinesiologist Sheri graduated from the University of Windsor where she earned her bachelor of Human Kinetics in Movement Science with the cooperative education option. 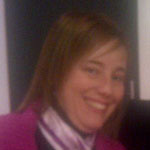 Sheri completed two co-op placements in physiotherapy clinics and the third in the automotive industry doing ergonomics. 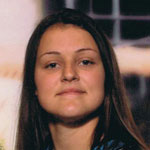 While away at school, she volunteered at the Windsor Regional Hospital with Occupational Therapists for two years. Sheri is very excited to work and learn from such a skilled and dynamic team at Talbot Trail Physiotherapy. While working part-time, Sheri is also in school for Recreational Therapy. In addition to spending time with family and friends, she likes to play volleyball, run and read. Chris Streib B.Sc. (Kin), M.Sc (P.T.) 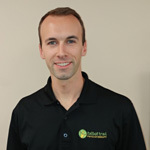 Registered Physiotherapist Certified in Acupuncture Chris Streib is the Co-owner, President and Director of Rehabilitation at Talbot Trail Physiotherapy. Following graduation from East Elgin High School in Aylmer, Chris attended McMaster University from 1993 – 1999 to receive his Bachelor of Kinesiology degree (‘93-‘97) and then his Bachelor of Health Science degree in Physiotherapy (‘97-‘99). While attending McMaster, Chris played varsity volleyball for 5 years and was team captain for 2 years. After university life, Chris opened the first Talbot Trail Physiotherapy clinic in Aylmer in 2002, expanding four years later to open the 460 Wellington Street clinic in St. Thomas. With a mission to make Talbot Trail Physiotherapy a quality source of physiotherapy and musculoskeletal services, Chris entered into a collaborative agreement with the St. Thomas Elgin General Hospital in the spring of 2008 to reopen the 22,000 sq. ft. rehabilitation centre. The new location would become a Centre of Excellence, utilizing the most progressive treatment options and state-of-the-art equipment, including an indoor 95° saltwater pool to ensure the best possible patient recovery. In developing the Centre, Chris was instrumental in recruiting the first Rheumatologist to Elgin County, as well as an Orthopaedic surgeon to build a multi-disciplinary, hands-on team for the rehabilitation of a variety of conditions. These include sports injuries, motor vehicle accident injuries, work related injuries and post-operative related disorders. In 2011, clinics were added in West Lorne and Blenheim and in 2013, a sixth clinic was opened in London. Chris’ dedication for continuing education and learning followed him as he continued on to complete additional advanced programs related to Physiotherapy and executive training. This ongoing education included certification from the Acupuncture Foundation of Canada Institute and advanced spinal therapy education from Curtin University in Perth, Australia. Talbot Trail Physiotherapy has grown to become the largest clinic in the area, with six clinics spread throughout southwestern Ontario, featuring a complete rehabilitation care team. Dedicated team includes Physiotherapists, Kinesiologists, Chiropractor, Occupational Therapist/Splinting/Hand Therapy and a Personal Trainer, all sharing a common goal to return patients to their optimum functional ability and independence. 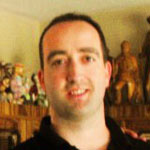 Craig Adkins B. Kinesiologist Chief Executive Officer Craig grew up in Thamesford and Ingersoll, Ontario. Following his graduation in 1997, from McMaster University with a B. Kinesiology he began his career as a Kinesiologist in a physiotherapy clinic in Toronto. His responsibilities included administering the clinic’s CARF accreditation, (Commission on Accreditation of Rehabilitation Facilities). He later founded a company that provided ergonomic services that quickly evolved into opening and managing physiotherapy clinics inside automotive manufacturing facilities. For the next 10 years, Craig worked with large automotive companies and their unions to control work/non-work related injuries to ensure employees received quality health care and injury management. Over the years, my business partner Chris Streib and I have taken business and executive training courses, and deliver the same training to other physiotherapy clinic owners across North America. This ongoing education and experience has enabled Talbot Trail Physiotherapy to grow into the area’s leading physiotherapy and rehabilitation provider. The most influential people in his life are his wife Shannon, daughter Avery and son McKinley. The one fact about yourself that everyone would find fascinating: Craig has a passion for blues music. His passion is so deep that he and wife Shannon named their son McKinley, so they could call him “Muddy”…just as McKinley Morganfield went by “Muddy Waters”. The one hobby you are the best at: To say Craig is proficient at hockey is certainly arguable…but he has a blast playing it! Patti was born and raised in St. Thomas, where she still lives with her husband and two children. Patti graduated in 1993 with a 4.0 Grade Point Average (GPA), from the Medical Office Administration Program at St. Clair College where she received the Shirley Blaxall award of Excellence upon graduation. She’s worked in multiple medical fields ranging from Audiology Services to Rehabilitative Therapy. 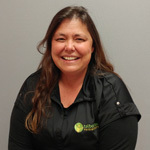 Patti has worked for Talbot Trail Physiotherapy since July 2008. Throughout high school, Patti coasted and was happy just to pass her classes. It was more of a social event than it was a learning event. Once she hit College, she realized her passion was in the medical field and helping people, and there she excelled….never turning back. Patti enjoys a wide variety of activities including walking, spending time with family, playing sports with her children and watching and encouraging her family as they actively participate in a wide variety of athletic events. The one fact about yourself that everyone would find fascinating: I have to touch the deceased at a funeral…..to ensure they won’t “touch” back. The one hobby you are the best at: Gardening and colouring!! 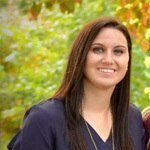 Melissa DeSutter Income Manager After Graduating from The University of Windsor in April of 2005 with a Bachelor of Arts in Psychology, Melissa attended Fanshawe College and completed her Social Service Worker Diploma program in 2006. Melissa joined Talbot Trail Physiotherapy in September of 2008, and has never looked back. Melissa enjoys spending time with her friends and family including her husband Ryan and two dogs, reading, and playing sports in particular baseball. The one fact about yourself that everyone would find fascinating: I met my husband in grade three and we have been friends ever since. The one hobby you are the best at: Board/Card games. Dayna Cartier B.H.K., Director, Rehabilitation and Special Services Born and raised in St. Thomas. Graduated from the University of Windsor in 1996, with a Bachelor of Human Kinetics, majoring in Movement Science. I have worked in the medical field since graduation, ranging from Medical assistant for a physiatrist in Windsor to working in physiotherapy clinics. 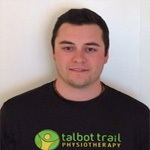 I have been a member of Talbot Trail Physiotherapy since 2006, starting as a Kinesiologist in the Aylmer clinic. As we have expanded, so have the opportunities that have been presented to me. I am now currently at the Physiotherapy and Musculoskeletal Clinic within the St. Thomas Elgin General Hospital. As well as my regular kinesiology duties, I am now the Director of Musculoskeletal Programmes and Hydrotherapy, and casting technician for the fracture clinic. Courses that I have enjoyed taking to increase my knowledge, have been: ACL Protocol course – UWO, CALA courses – for hydrotherapy, CSOT member, Emergency Casting – Toronto. The one fact about yourself that everyone would find fascinating: I have an irrational fear of dead fish. Don’t want to see it until it is on my plate! View the full list of services that we provide.